During this workshop, classroom training will give participants the background and understanding of the Kanban philosophy, approach, and implementation steps. 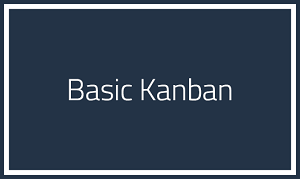 There are some basic fundamentals of Kanban and its implementation. We need to trust those fundamentals, use them as our guide and not try to “overthink” and complicate the design and implementation of our Kanban system. Simplicity is actually “OK” sometimes. We will discuss the fundamentals and include in this discussion some of the common pitfalls to watch for in Kanban implementation. 9. Key components of a successful Kanban system and what pitfalls to watch out for.